Each year the Tommy Brull Foundation seeks out new recipients to support. Our goal is to improve the quality of life for people living with challenges. Please feel free to contact us with any suggestions or ideas. 1. Camp A.N.C.H.O.R. - Donated $100,000 to fund a state of the art audiovisual system and lighting for the “Tommy Brull Gymnasium”. Provided a handrail for the front entrance to the Malone Mulhall Recreation Center. Founded and funded the Tommy Brull Adaptive Surf Program at Camp ANCHOR. 2. Kevin McDermott - Kevin is a graduate of Chaminade High School and Duke University. He excelled in both cross-country and track while in school. Shortly after graduating from Duke, he suffered a spinal cord injury that resulted in quadriplegia. We donated money to help modify his house in order to make it wheelchair accessible. 3. A.S.P.I.R.E - A donation was made to fund a free counseling program for adolescents with Autism. 4. Daniel Cooke - Daniel is a Rockville Centre child with multiple disabilities. A special needs swing set was purchased with the money donated to this family. 5. 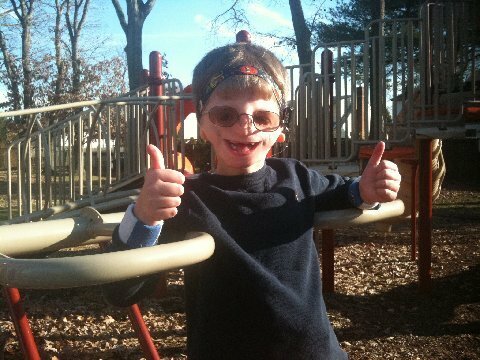 Chase Callahan - Chase is a Rockville Centre child with cerebral palsy. A special needs all terrain stroller was purchased for his family in order to make trips to the beach and hiking easier for the them. A removable wheelchair ramp was also purchased with the funds. 6. Centre Stage - Money was donated to purchase all the costumes for this South Side High School drama program that couples special needs students with typical students. The plays that are produced by this club are spectacular. 7. Connor and Friends - This special needs free play group held at the Rockville Centre Recreation Center by the Lawless family has been funded by The Tommy Brull Foundation for a number of years. Monthly play group provide activity for the children and respite for the parents. 8. Tommy Brull Foundation Special Needs Surf Camp - We funded and founded a special needs surf camp that takes place at Camp Anchor over summer for 6 weeks. We have given over 400 children with special needs the opportunity to experience the sport of surfing, a sport that Tommy loved. The program has been growing since 2014. 9. Challenger Baseball League - A donation was made to help fund this wonderful Rockville Centre Little League program that teams up special needs children with typical children in order to experience baseball. This program also helps the buddies understand children with special needs. The foundation has been supporting this program for a number of years. 10. Long Island Lightning Wheelchair Basketball Team - A specialized basketball wheelchair was constructed for an athlete that could not afford one. A donation was made to the team to help fund travel costs for the team to go to a tournament in Arizona. 11. Jim Lasco - A specialized communication device was purchased for man who suffered a severe stroke resulting in locked-in syndrome. This syndrome left Jim with only the ability to move his eyes. The communication device was not covered by insurance. 12. Billy’s Buddies - A donation was made to Billy, a child with multiple disabilities. The money was used to purchase specialized equipment that was not covered under Billy’s insurance. Sadly, Billy recently passed away due to complications from his disability. He is missed dearly by his family. 13. Bobby Nawrath - This wonderful boy was born with a severe facial deformity. Bobby needed multiple surgeries to help reconstruct the bone structure of his face to help increase his ability to speak and eat. He was also born without ears. The money was used to help pay for a surgery to reconstruct his ears to help with his ability to hear. 14. Herricks Sensory Garden - This sensory garden provides sensory input for senior citizens with Alzheimer’s Disease and other forms of dementia. A donation was made to help maintain the garden for years to come. 15. Calhoun High School Special Needs Store - A donation was made to help construct and stock this simulated store. This store helps train high school students with special needs how work in a retail store in order to prepare them for the future. 16. Young Autism Program - A donation was made to help fund this program that focuses on community activities and day trips for adolescent with Autism. 17. Angela’s House - A donation was made to this wonderful program that provides homes for severely disabled children who need around the clock care. Without this program, these children would be placed in a nursing home. 18. Dylan’s Surfboard - Dylan Hronec is an active young man with cerebral palsy. He loves sports and has taken up surfing in the last few years with the help of members of the foundation. A customized, adaptive, motorized surfboard was constructed for Dylan. This board has helped give him the ability to ride waves on his own. Dylan has excelled in the sport and wants to be a role model for other individuals overcoming challenges. 19. Brendan Wagner - Brendan is a young man who was involved in a motor vehicle accident leaving him with quadriplegia. He is unable to move his extremities and is completely dependent on an aide for all activities of daily living. The foundation provided him with a specialized computer that allows him to navigate the internet and email with the use of his eyes. This has allowed Brendan to regain some independence in his life and allows him to explore interests and connect with people independently. Sadly, Brendan later passed away due to complications from his injury. He is missed dearly by his family. 20. Long Island Riding for the Handicapped - Purchased a horse to be used at this therapeutic riding program for children with special needs. The horse allows sensory input, balance training, and core strengthening for children with special needs. 21. Cathy and Tom Turner - Donated $10,000 to be used to help purchase a new wheelchair accessible van to help ease transportation throughout the community for Cathy. 22. Literacy Nassau - Funded a specialized reading program for children with learning disabilities. 23. Nassau Thunderbolt Adaptive Bocce Team - Funded uniforms and travel expenses for this amazing adaptive bocce team that travels to compete in tournaments across the nation. 24. Canine Companions for Independence - Donated to this amazing program that trains and provides service dogs to people with physical challenges. 25. Michael Rehak - Donated funds to modify the Rehak’s home in order to make their porch and entrance wheelchair accessible. 26. Windham Adaptive Ski Program - Funded an adaptive ski trip for the Southside High School Special Education Core Program at Windham Mountain. 27. Camp A.N.C.H.O.R. Professional Wrestling Exhibition - Organized and provided a full interactive pro wrestling exhibition for the campers of Camp ANCHOR including a professional ring and 15 wrestlers with The New York Wrestling Connection. 28. Hoops for All -Provided funding for uniforms to this wonderful special needs adaptive basketball program. 29. Autism Awareness Basketball Outing with Hofstra University - Funded a group of special needs families to a special outing at Hofstra University to see the men’s basketball game and also raise awareness for Autism. 30. Dragon's Eye Martial Arts- The Tommy Brull Foundation has funded this special needs Karate program located in Rockville Centre NY. This program helps children of all walks of life build confidence, teaches discipline, and promotes impulse control. 31. Anthony Brunetta Adaptive Playground - Tommy Brull foundation has currently donated $40,000 towards the building of this inclusive adaptive playground that will integrate typical children with children that have special needs. The location of this playground will be at Hickey Field Rockville Centre.